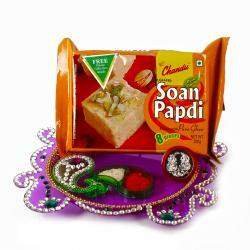 Product Consists : Thali and Free Roli Chawal, 3 Layer Bamboo Plant in a Jute Potli, Silver Plated Coin along with Snickers Chocolate (50 Gms). Nothing is as elating and fulfilling as a love filled gift from sister for a brother. 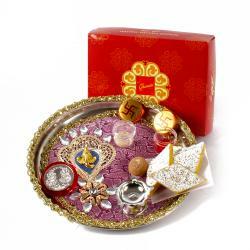 On this Bhaidooj, send your doted brother this exotic hamper of square shape pooja thali is decorated with stones. It also includes a keri shape container for roli and chawal. To celebrate a happy occasion by offering sweetmeant send snickers chocolate (Weight: 50 Gms) with this hamper. 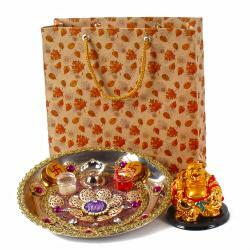 A silver plated coin and 3 layer bamboo plant in a jute potli also clubbed with this hamper to protect your dear brother from all things evil and negative. 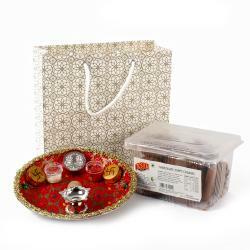 So grace him with peace, health and prosperity on Bhaidooj by sending him this classy hamper. 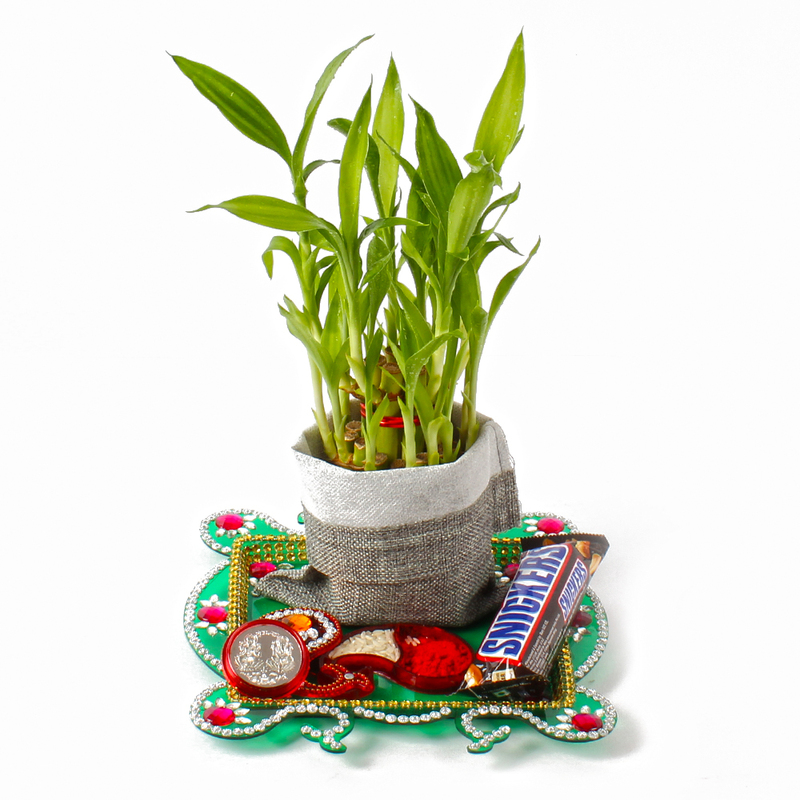 Product Includes : Acrylic thali and Free Roli Chawal, 3 Layer Bamboo Plant in a Jute Potli, Silver Plated Coin along with Snickers Chocolate (50 Gms).